The half ain’t never been told. To tell you about the half ain’t never been told. 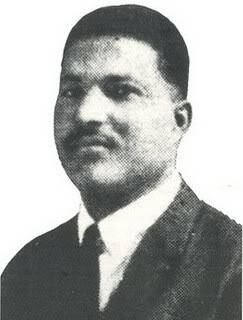 Reverend Ford Washington McGee was one of the most popular preacher on the “Race” records of the 1920’s and 1930’s, along with Reverend J.M Gates, Rev. 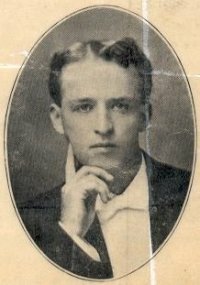 Nix or Reverend J.C Burnett. Born in Tennessee in 1890, he was raised in farming communities in Texas. His parents sent him to college in Oklahoma where he trained as a teacher, leaving this profession for evangelism and practicing faith healing, until he joined the Church of God in Christ. The blind pianist and singer, Arizona Dranes, helped him build his congregation in Oklahoma City, while he successfully evangelized in Iowa and elsewhere. In 1925 he established a church under canvas at 33th Street in Chicago’s South Side, and three years later laid the foundation stone of his “Temple” on Vincennes. His first recordings under his own name and with his Church of God in Christ Jubilee Singers was a single title for Okeh, Lion of the tribe of Judah, a shouting spiritual with stomping piano by Arizona Dranes. Arizona Juanita Dranes was a blind girl from Texas of mexican and african-american parents. She has been instrumental in getting McGee to record and played with him and his Jubilee Singers on some of her sides in 1926. A few months after his first session under his own name, he got a contract with Victor Records and recorded more than forty titles for the label in the following years until the Depression made a stop to his recorded career in 1930. Many of his records sold well and his 78rpm record coupling “Jonah in the Belly of the Whale” and “With His Stripes We Are Healed” sold more than 100,000 copies. On his recordings, McGee’s rich and musical voice, which had more subtlety than other preachers, was accompanied by members of his congregation and some musical instruments like piano (played by Rev. D.C. Williams), guitars, mandolins, brass and rhythm instruments, creating a joyful and lively sound. On some recordings, the singing and playing is heard throughout, while on others, the preaching part is more important. While his recording career stopped in 1930, Rev. McGee continued to increase his community in his own Chicago church and continued to preach until his death, in 1971. –Document Records issued Rev. McGee’s complete recordings on two cds and have also one cd devoted to Arizona Dranes. The song was written by Herbert Buffum (1879-1939) a very prolific gospel song writer (who claimed to have written thousands of gospel songs). He was a Holiness/Pentecostal evangelist and lived and worked in California. It’s in this state that Sara Carter claimed to have heard the song for the first time in an Adventist church. 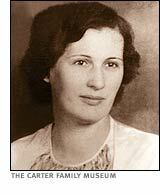 She recorded it with the Carter Family during their very last session in october 1941 and it is to their version that most of the singers afterwards would refer to when they sing the song. Here’s a little compilation of 8 versions of the song that I like, many being in the same vein and influenced by The Carters but also a more Honky-Tonk Country version by Hank Locklin and a Dixie Jazz version (which is closer in feeling to the Rev McGee’s upbeat version) by Turk Murphy, both from the 1950’s. -I don’t know if it’s still in activity but there’s a fine web site/ record shop bearing the name “Fifty Miles of Elbow Room” from Brooklyn, New York who sells many fine lps and cds. Check it out! loved your blog. Great research and material. I will be following some more. Thanks. Wow. Thanks for this great page. I’ll be exploring your site. Great article, research, and a fine job of compiling versions…though I missed the first one I heard, which was by the Red Clay Ramblers with dulcimer and 4 part harmony. And now I’ll have to check out the site, onto which a lot of care has obviously been lavished. Woops! My bad. It’s on there. Thanks!